Most ramen restaurants refuse to-go orders because those steaming-hot bowls need to be slurped down quickly, lest the noodles get bloated and soggy. 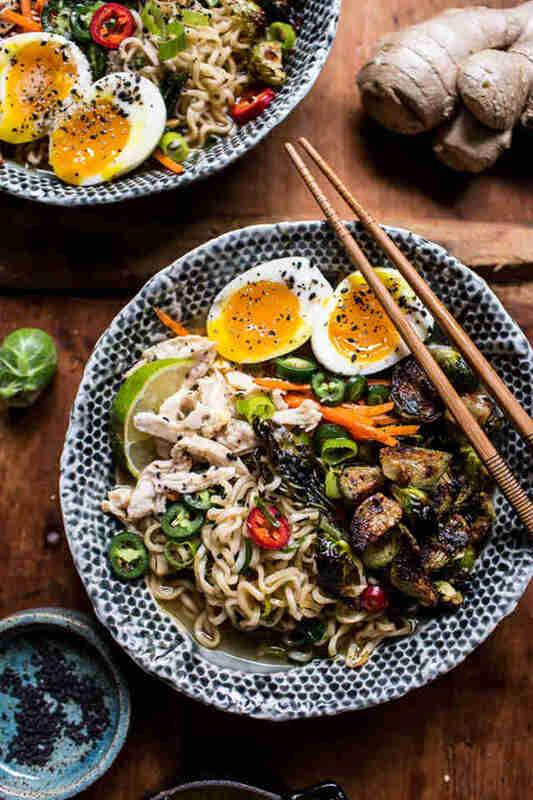 It's a real bummer when all you want to do is eat ramen in the comfort of your flannel-lined loungewear without having to brave the stupid-frigid weather. In the past, you'd settle for dried noodles in a Styrofoam cup with broth made from a packet. 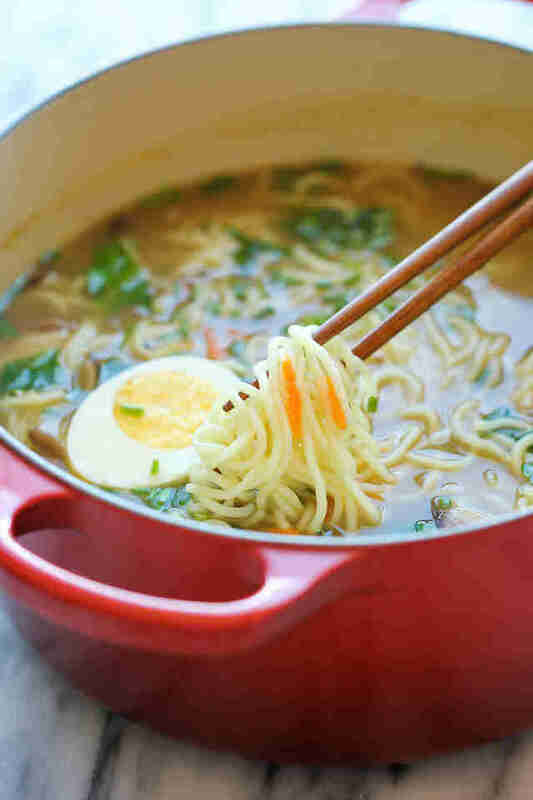 But now, thanks to these 11 recipes, you have the know-how to make your own real ramen. Fresh-cooked noodles, warm flavorful broth, chashu pork, and marinated eggs are only a few clicks away. This meal comes together quick if you’ve already got pulled-pork leftovers in the fridge. Recipe here. Not an easy one, but the best recipes usually aren’t. This one calls for pig trotters, chicken feet, and an excess of pork fat -- so you know it’s a winner! If you’re up for making a truly authentic bowl, start here. 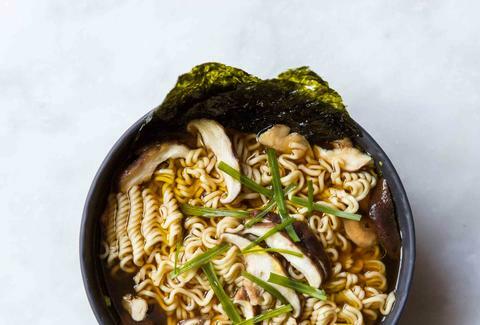 This vegetarian recipe was developed by an avid meat eater, who calls it “a damn tasty bowl of vegetable noodle water.” But it’s so much more. Check it out here. The finest Japanese ramen takes hours to make. 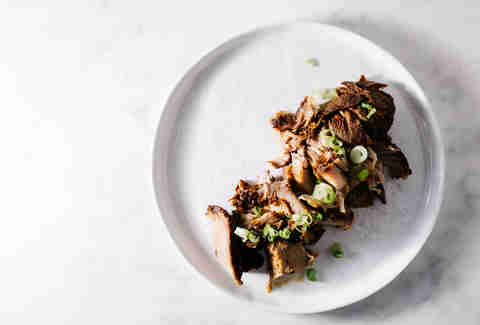 This simpler version lets the slow cooker do most of the work, but still tastes delicious. The recipe's here. This one’s for the lazy man who still wants something better than an instant packet. Half an hour is all it takes. Recipe here. If you want to be really ambitious, make your own noodles, too. Baking baking (that is not a typo!) 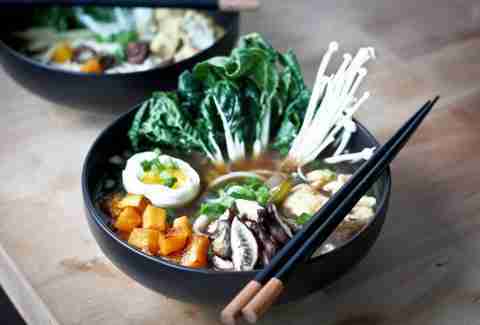 soda turns it into alkaline salt, which gives ramen noodles their signature golden hue and chewiness. Everything you need to know is right here. 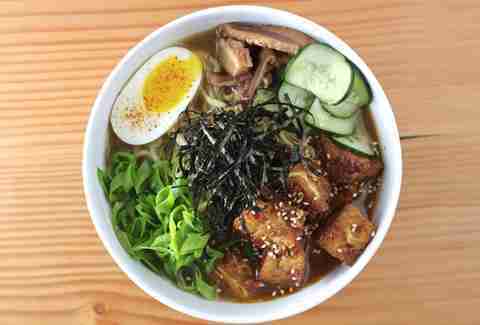 Chashu pork is the star of the ramen bowl. Take the necessary steps to make it melt-in-your-mouth tender. Learn how here. Whip up this quick marinade if you don't have leftover chashu broth to soak your ramen eggs in. This baby takes only 30 minutes to make, and it involves ginger butter. Ginger butter, guys. Right this way. 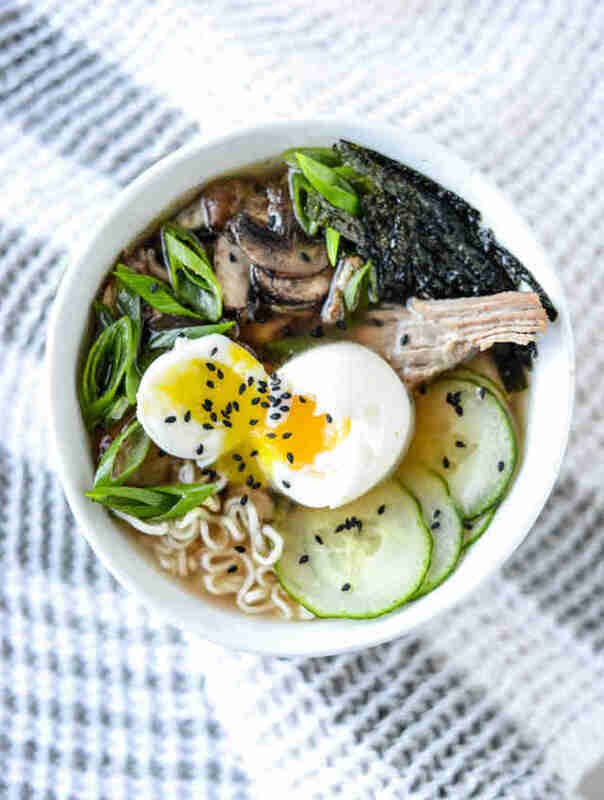 Bone broth takes hours, but this miso-based soup is ready in 15 minutes. Recipe here. Even without meat, this broth oozes of umami -- thanks to the stovetop-smoked shiitakes. Full recipe here. Perry Santanachote is Thrillist's recipes editor. She likes her ramen with chili oil, corn, and extra pork belly. Follow her at @perrysant.